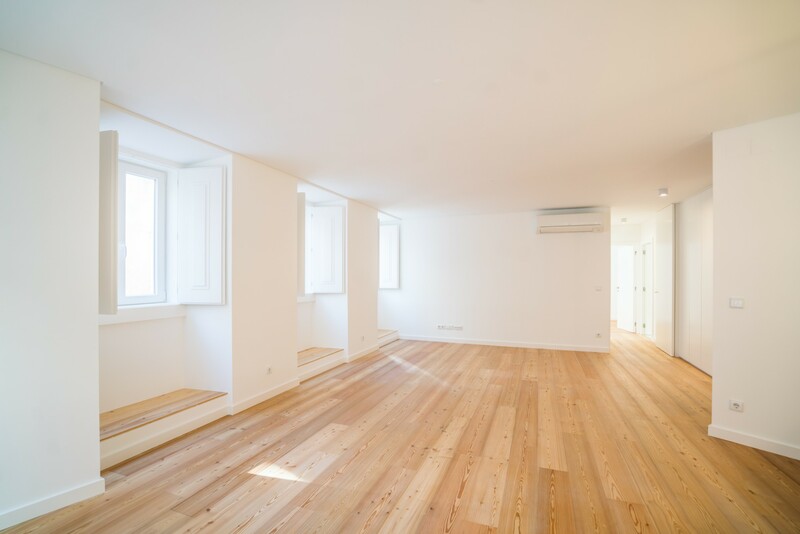 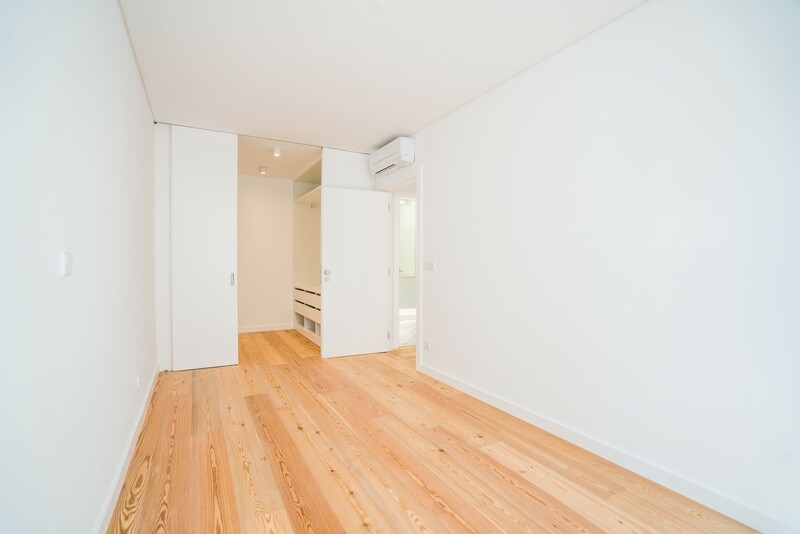 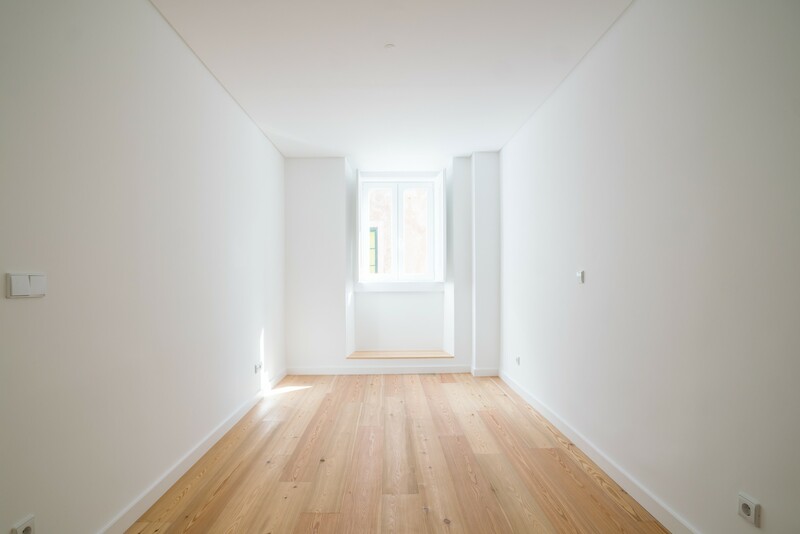 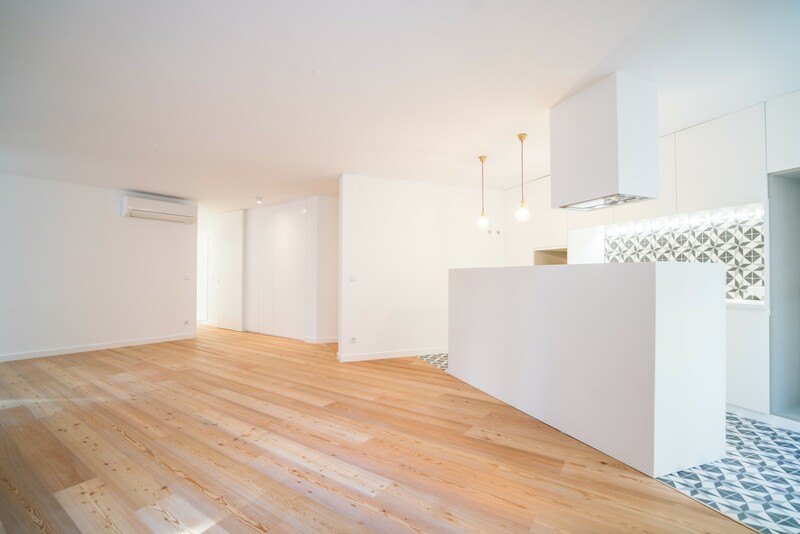 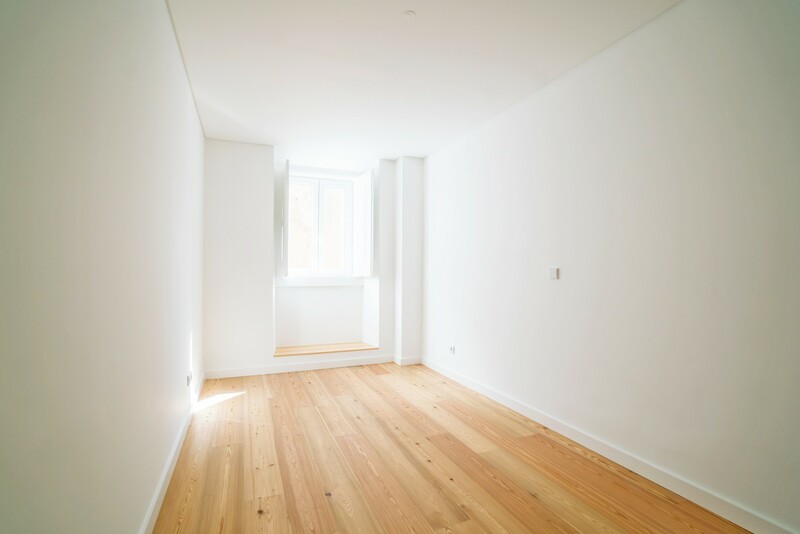 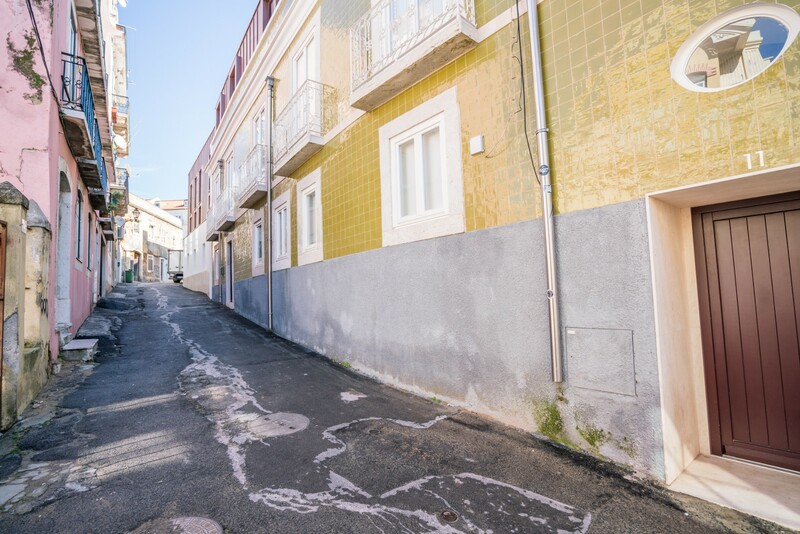 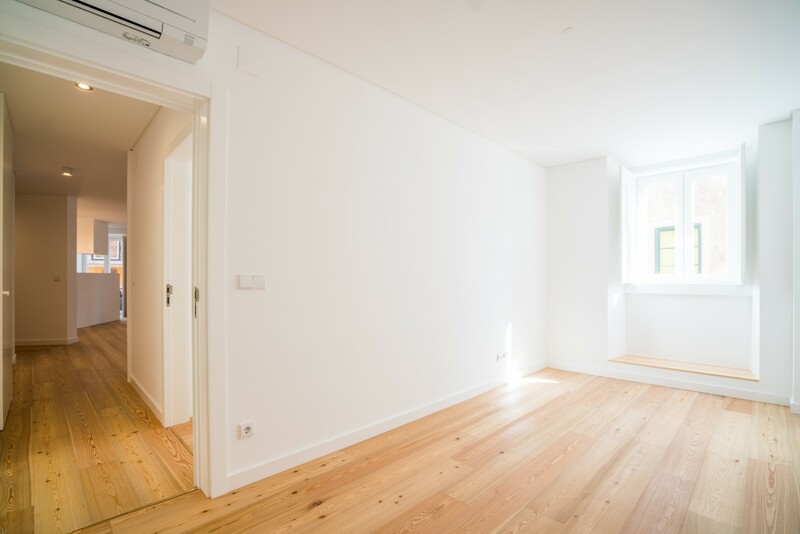 Comfortable two bedroom apartment for sale in a refurbished building a stroll away from Intendente and Anjos. 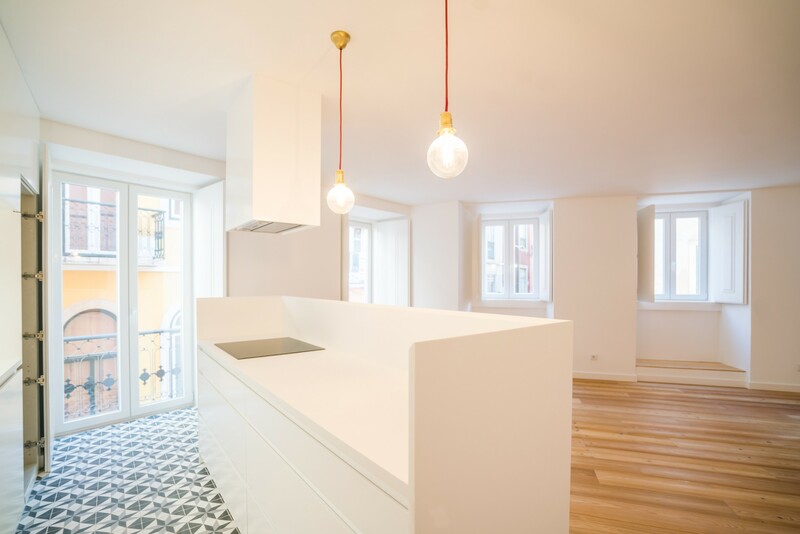 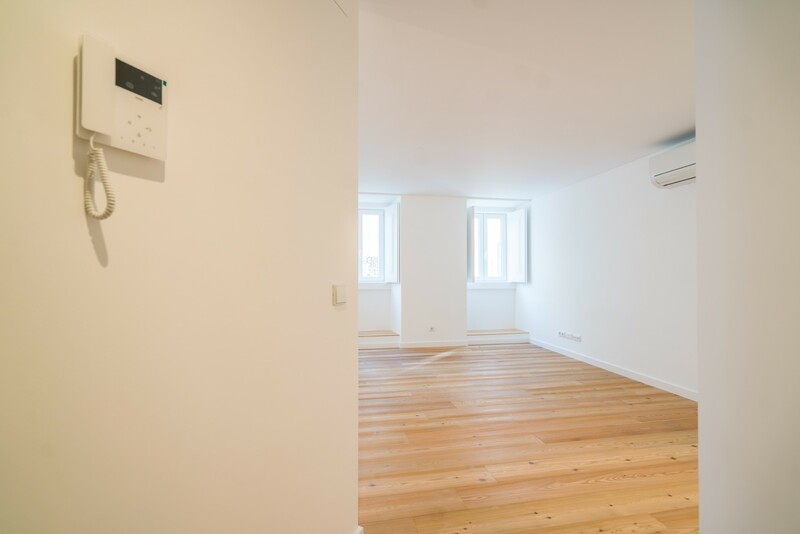 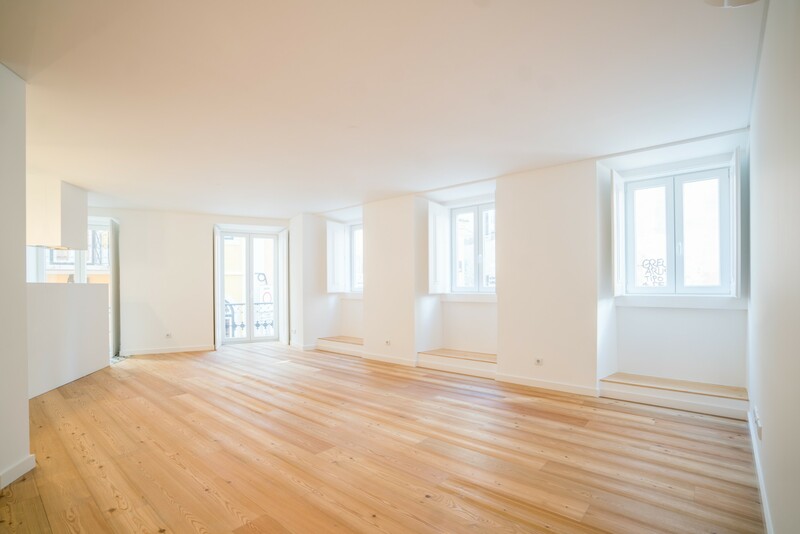 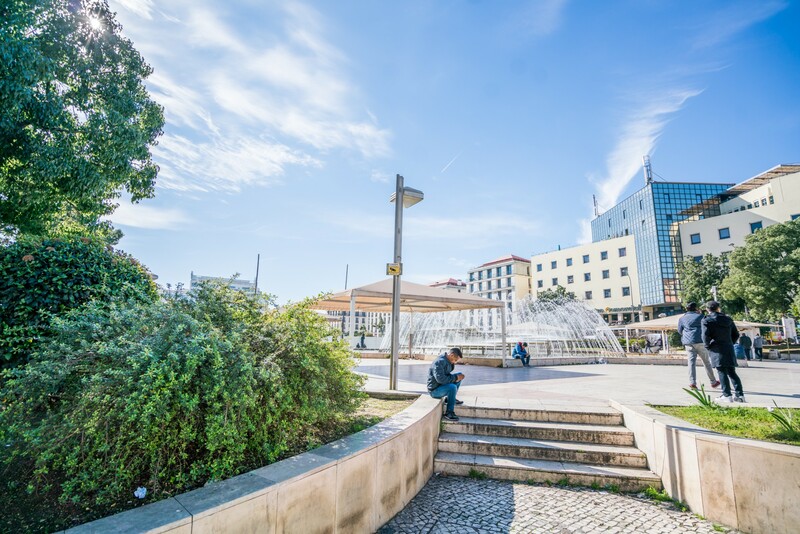 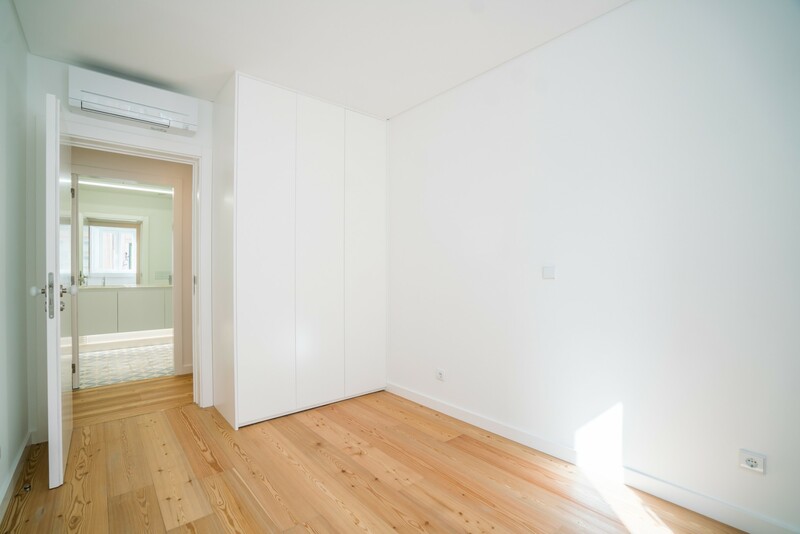 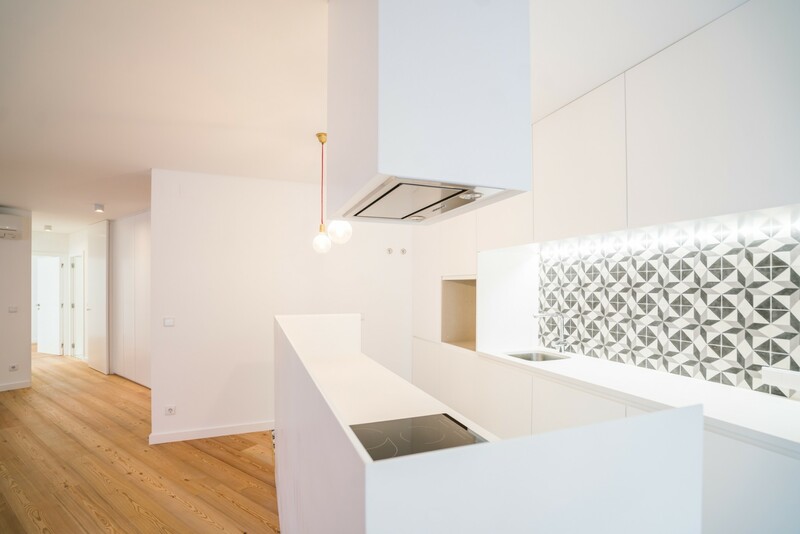 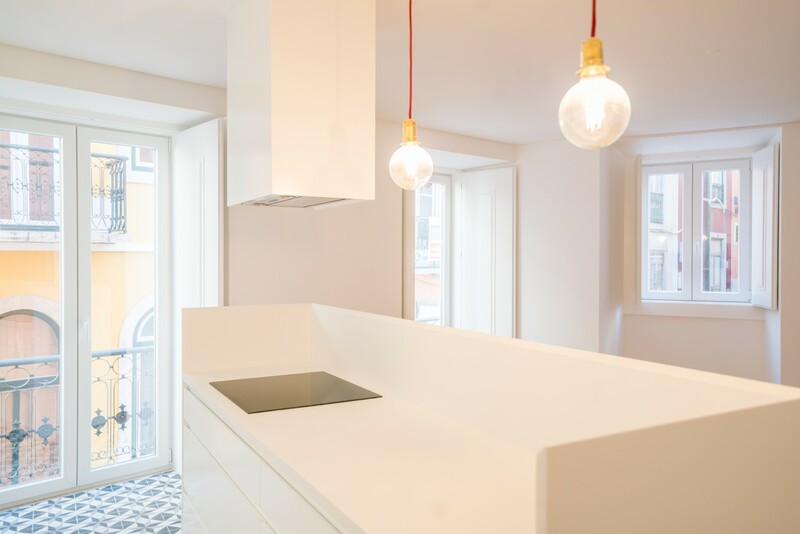 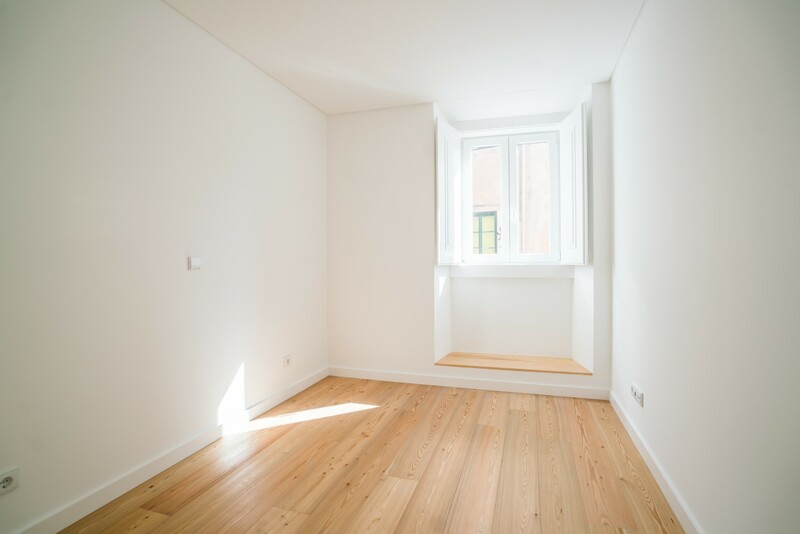 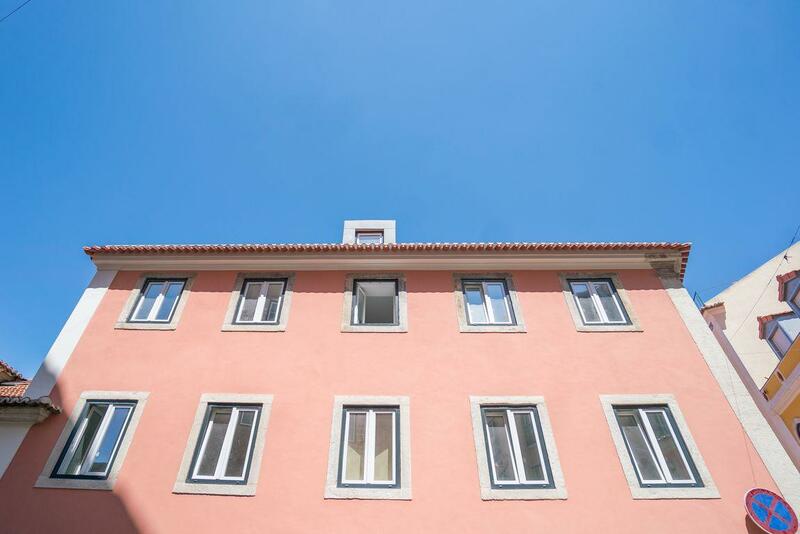 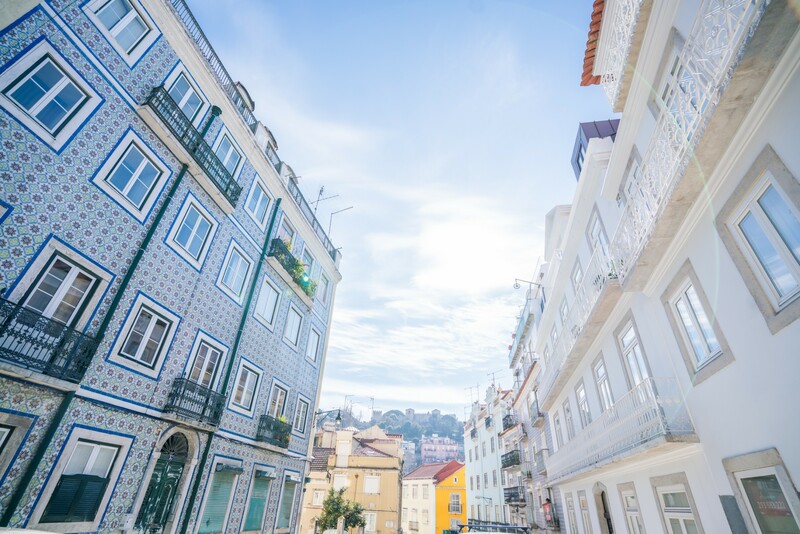 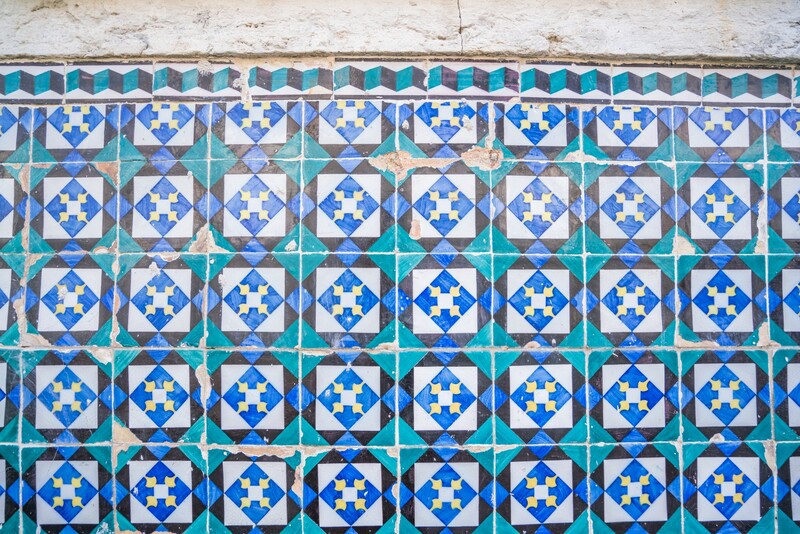 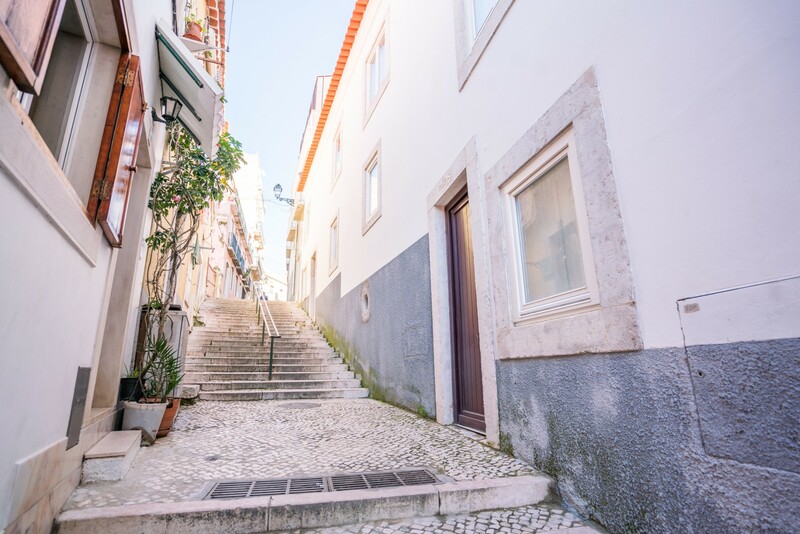 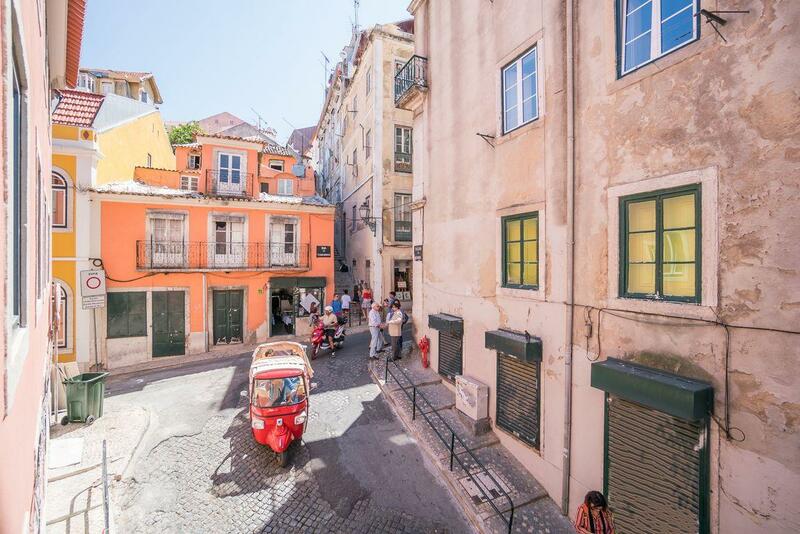 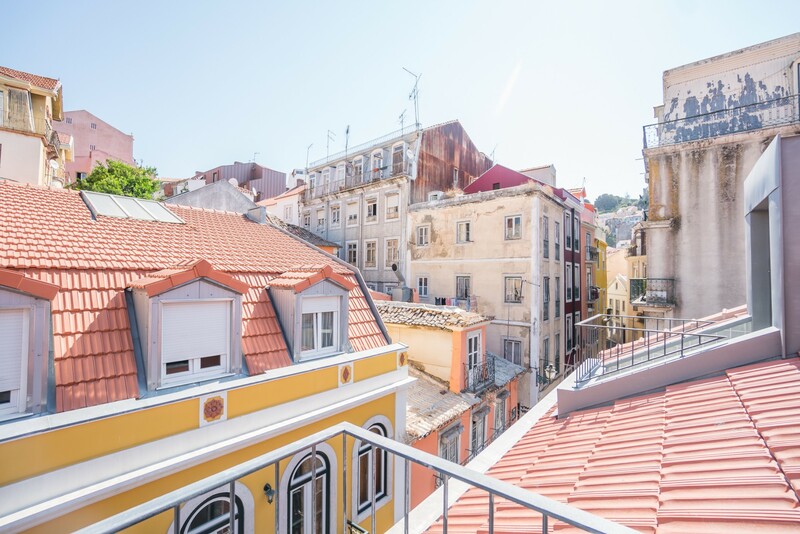 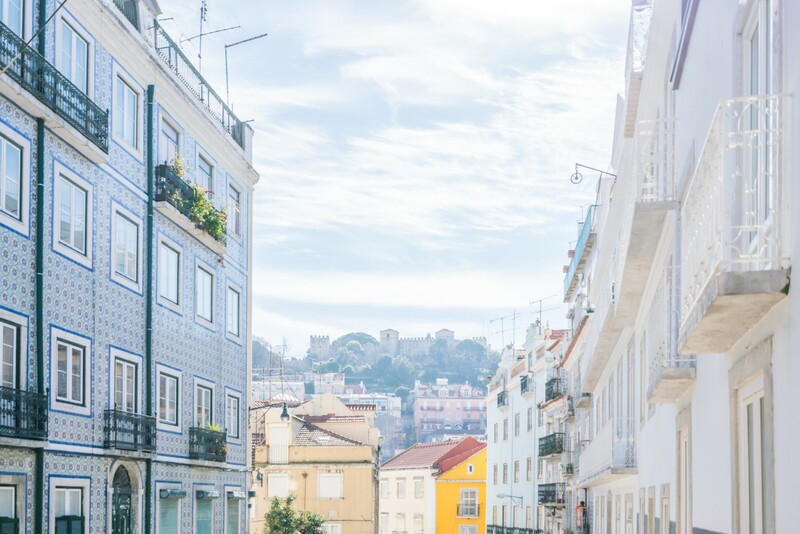 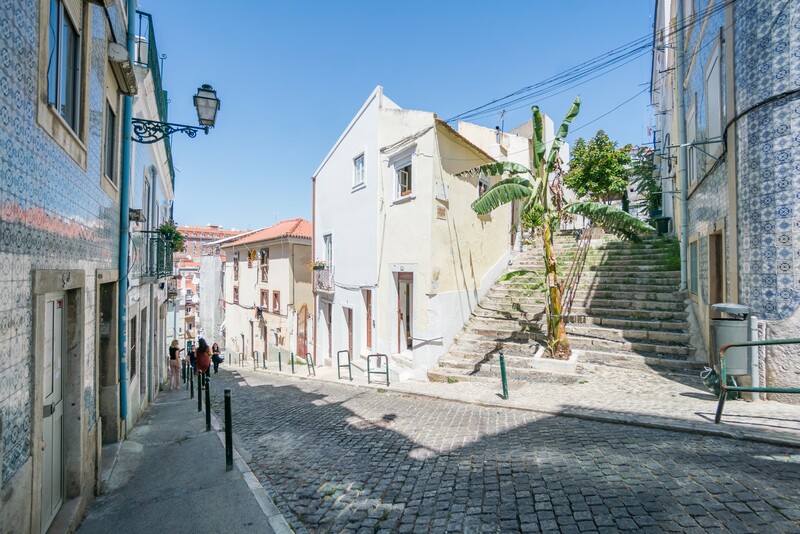 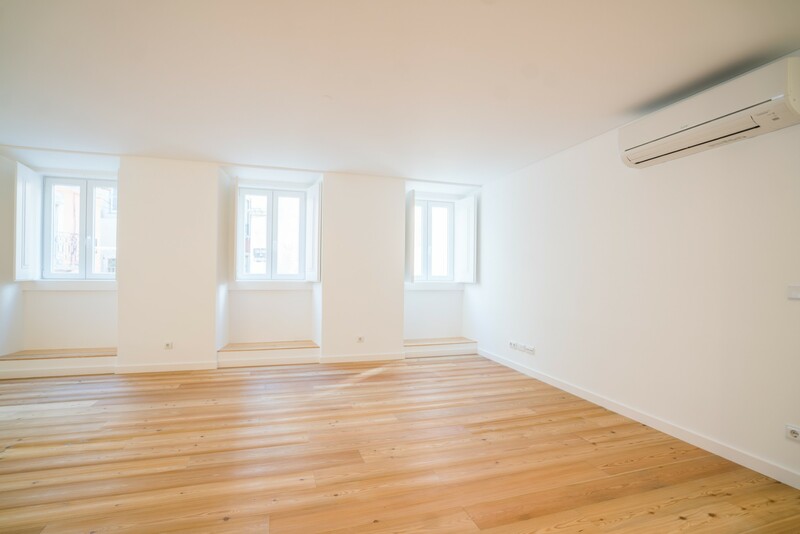 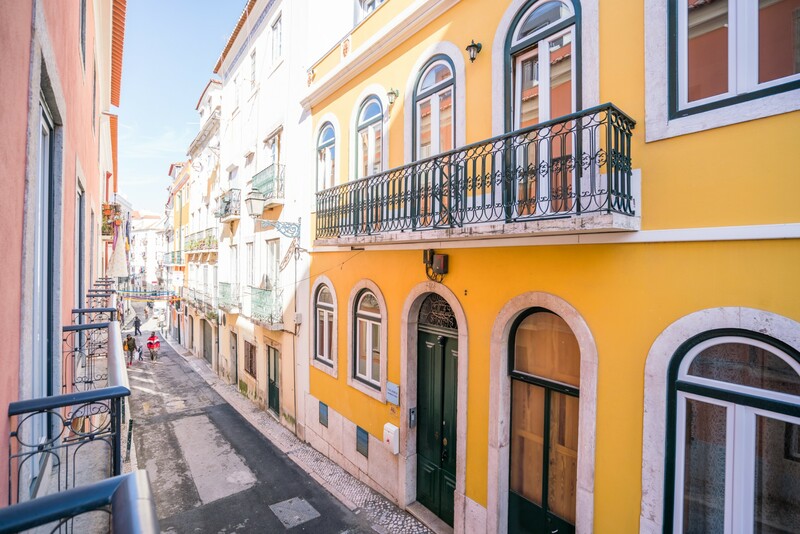 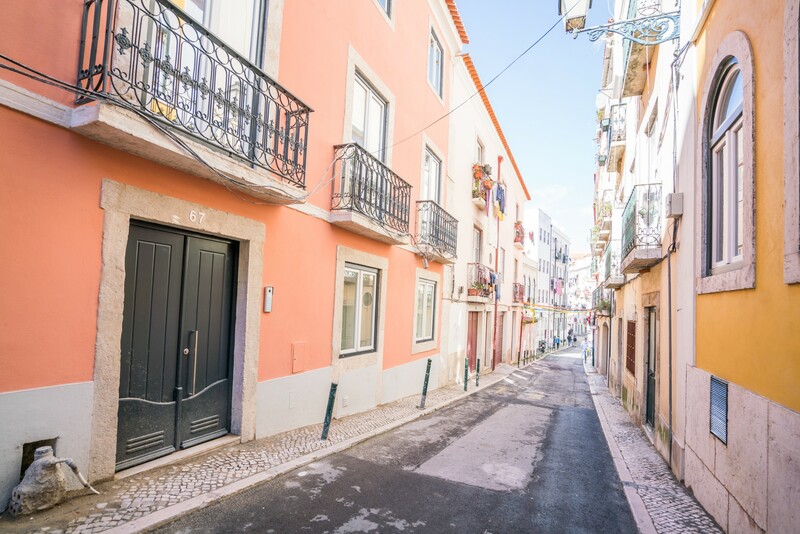 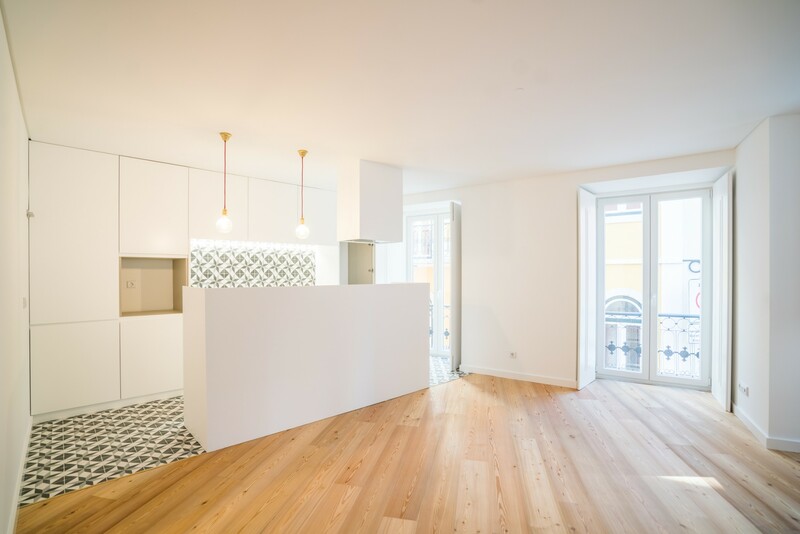 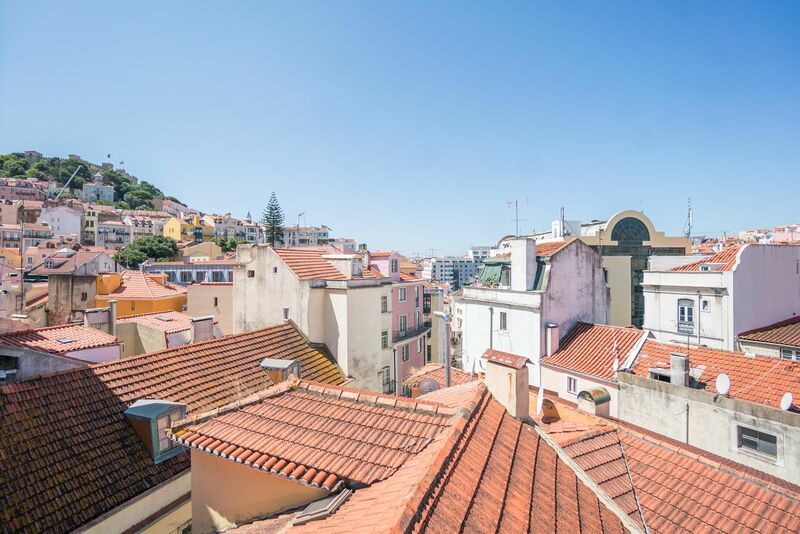 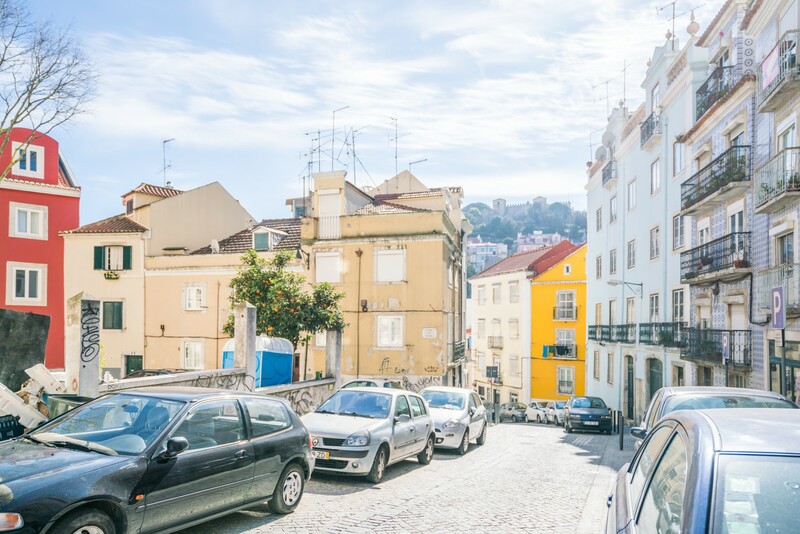 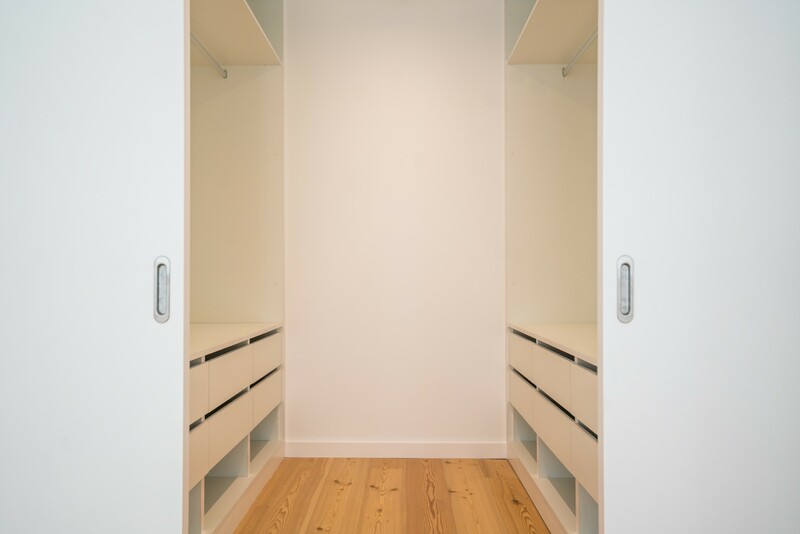 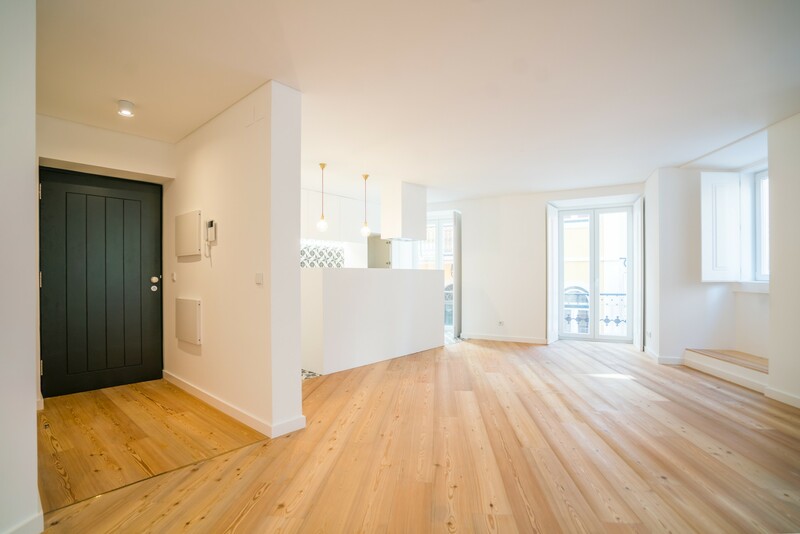 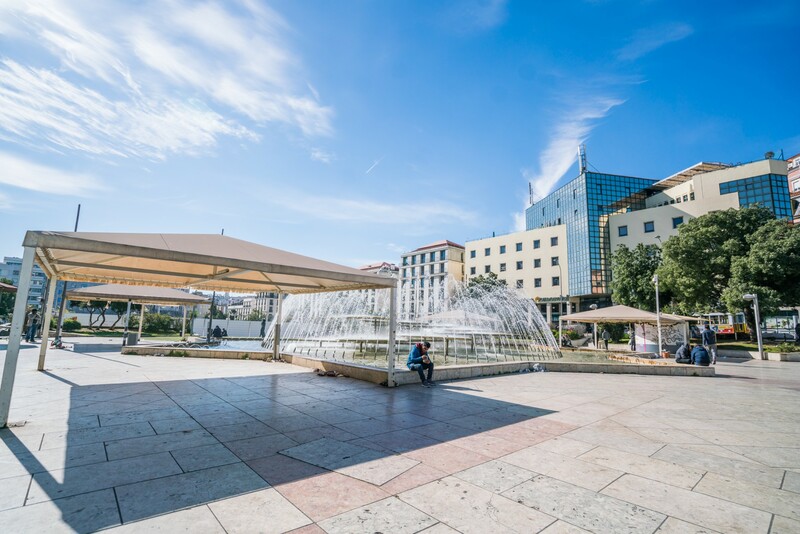 Well-set in a traditional neighbourhood, this apartment for sale enjoys the proximity to various amenities the area has on offer: a garden, a theatre, an art exhibition, a park, and a viewpoint to enjoy the sights of Lisbon old town – all can be reached in a matter of minutes. 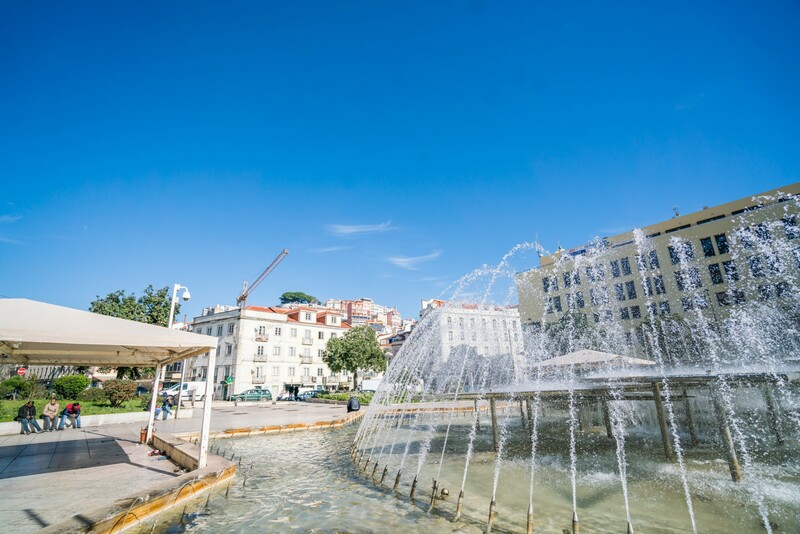 Tram 28 route – one of the most popular tourist attractions – is also close by. 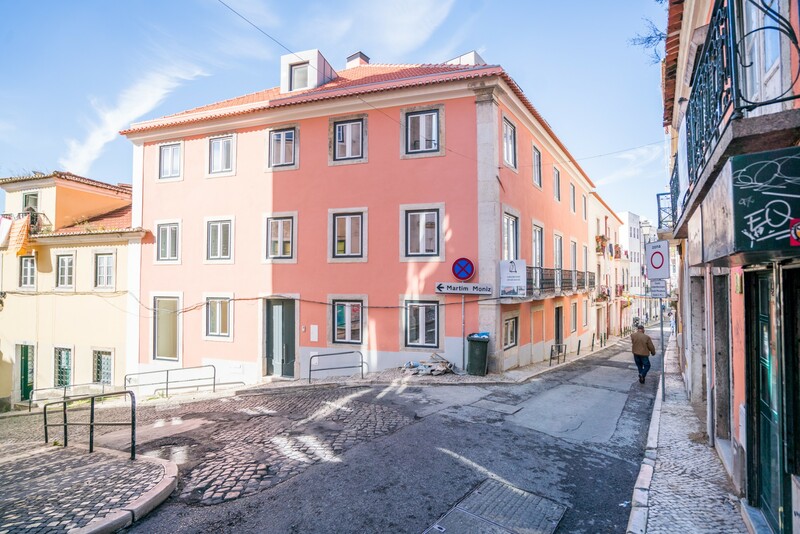 Main public transport links of metro, bus and tram are virtually around the corner. 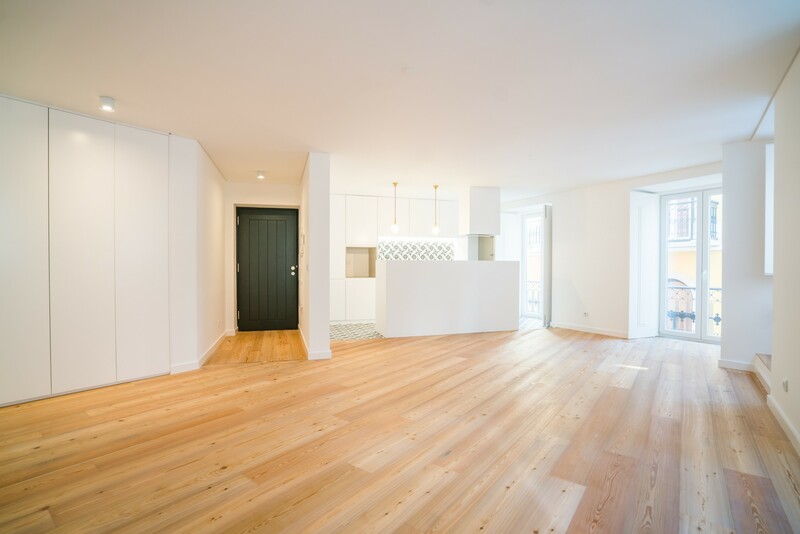 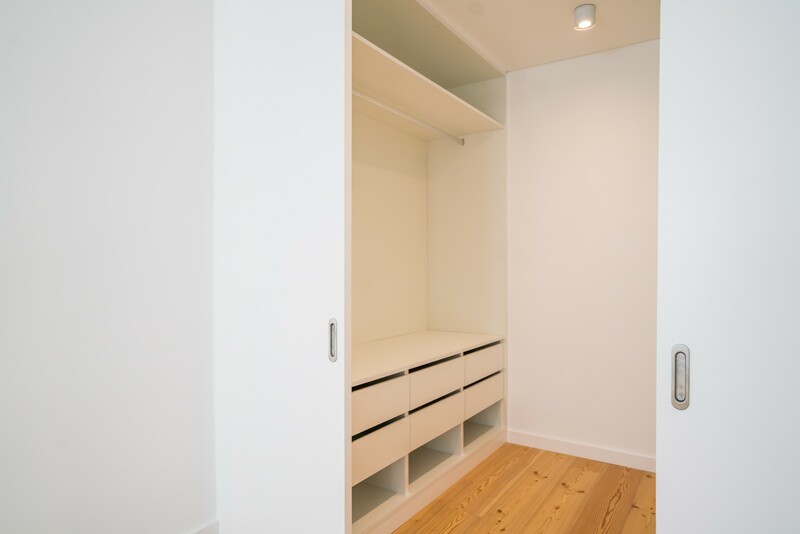 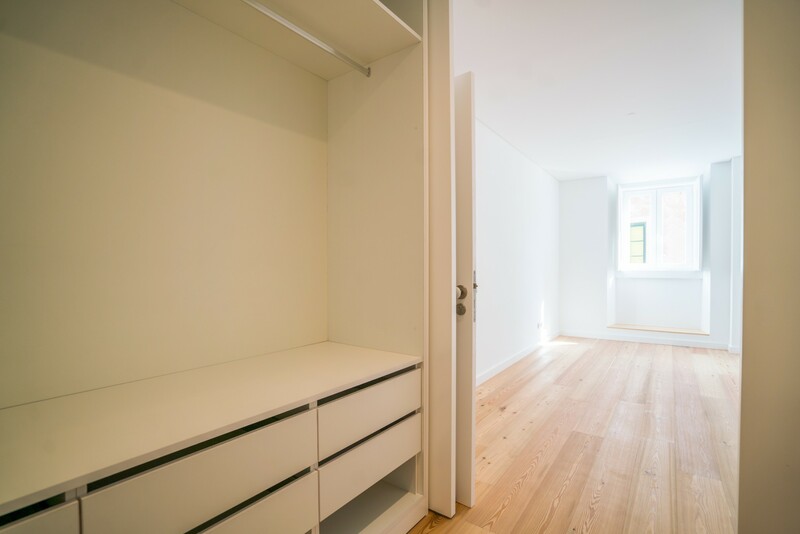 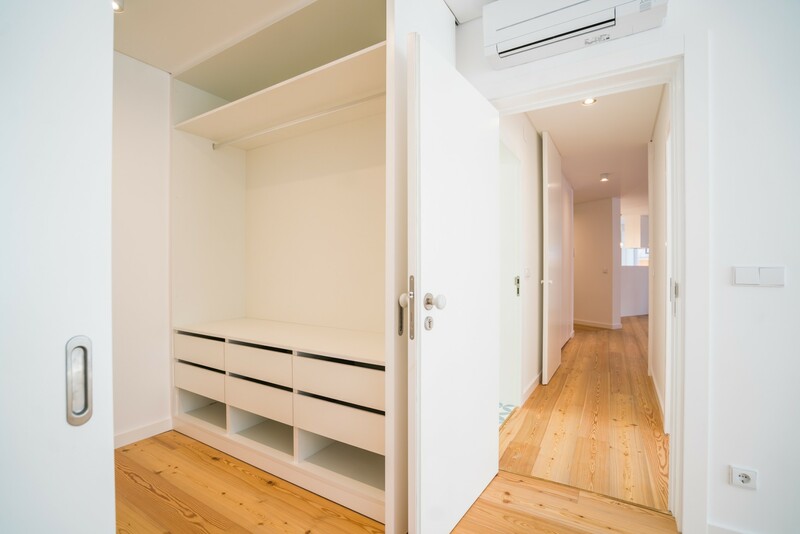 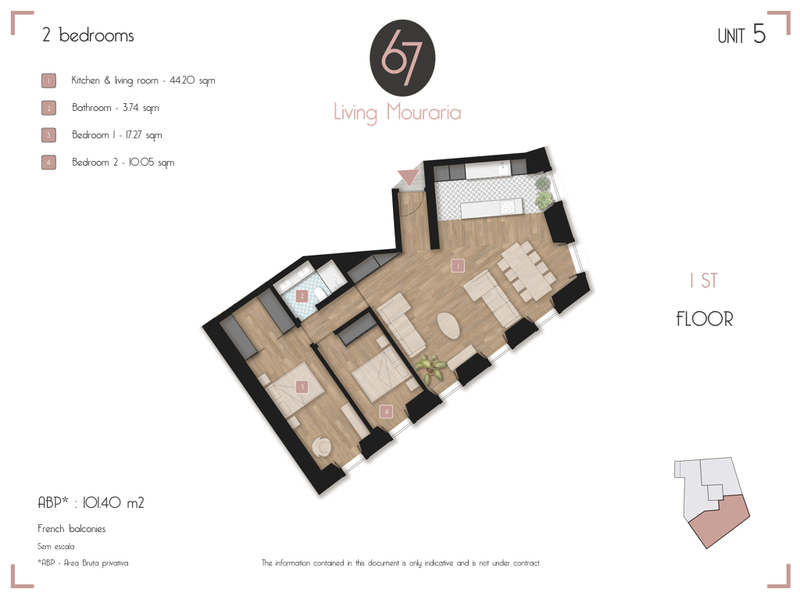 Featuring two French balconies, the property offers built-in wardrobes, an additional walk-in wardrobe, a fully equipped, open plan kitchen and a large living area with plenty of natural light. 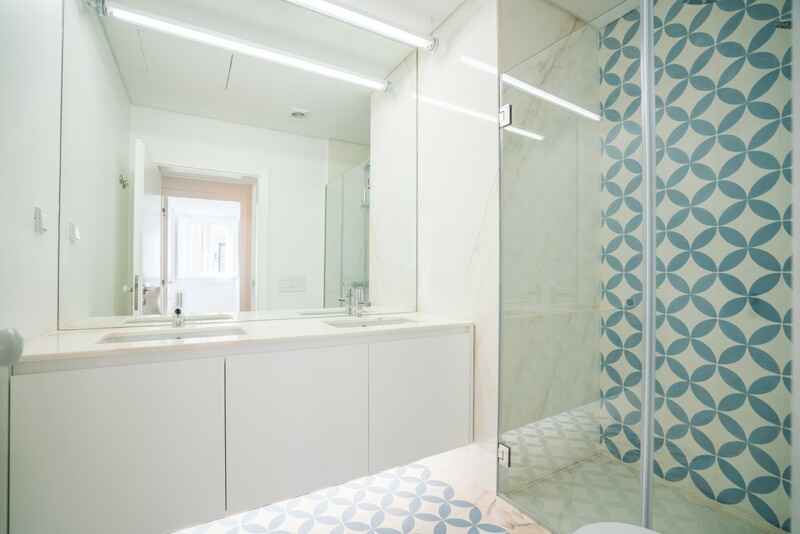 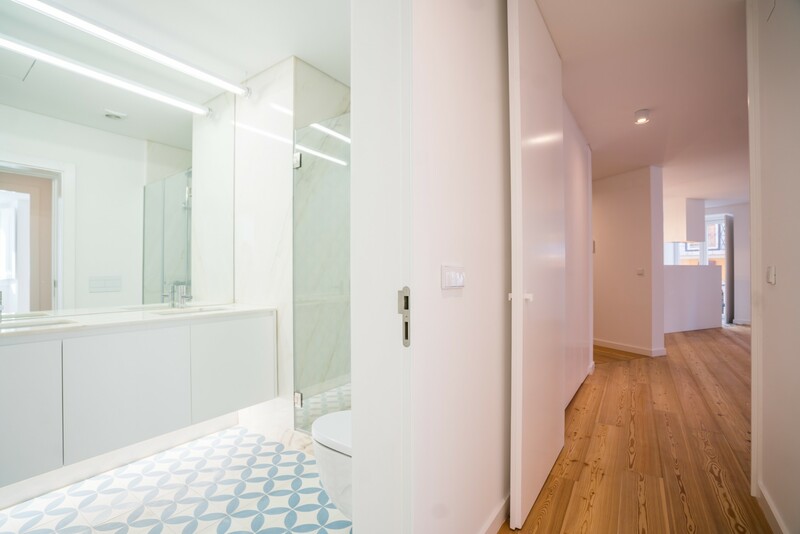 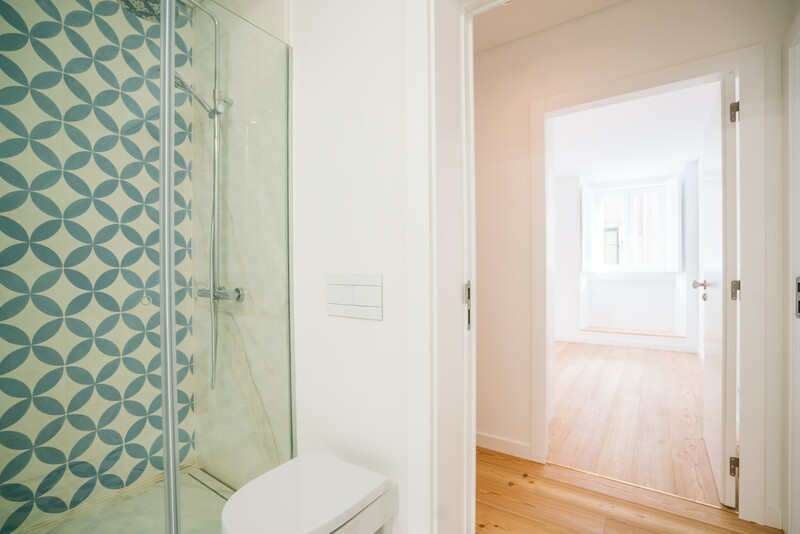 Quality finishes of pinewood flooring, marble and traditional tiles in the bathroom give it a twist of refinement. 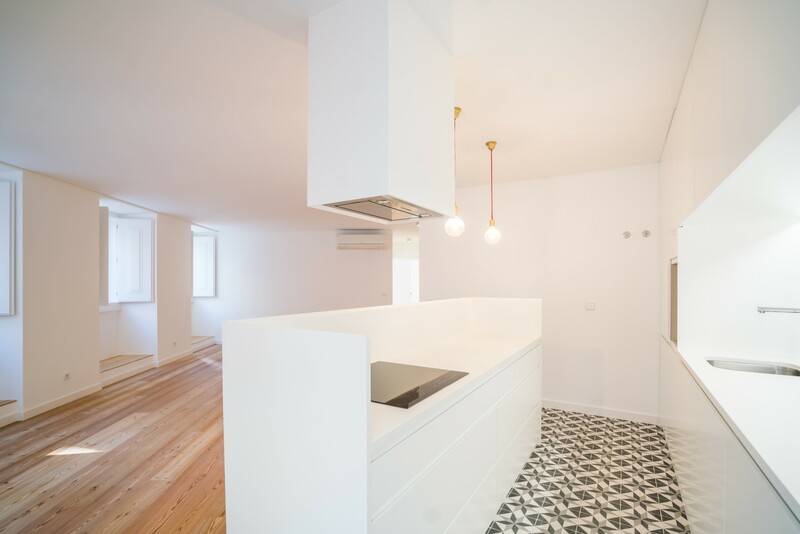 Prominent location close to Mouraria and pleasant interior refurbished with quality materials make this apartment for sale an excellent choice for Golden Visa.